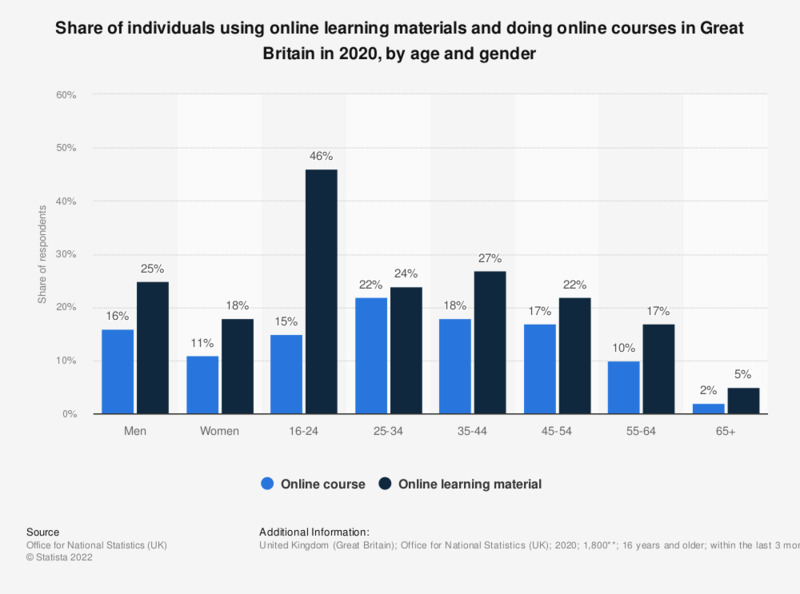 This statistic displays the share of individuals in Great Britain who use online learning materials and online courses in 2017, by age and gender. Those aged 16 to 24 were the most likely to use online learning materials, while men were slightly more likely than women to use this method. Those in the 35 to 44 age bracket were the most likely to have used an online course. Statistics on "E-commerce in France "
Which of the following methods do you prefer to use when you pay for a product you've bought online? How much do you spend on average when you purchase from your smartphone? How often do you use your smartphone or tablet to... ? When shopping on your smartphone or tablet, from which format do you prefer to purchase? Which types of goods and services have you already purchased from your smartphone? When planning to purchase the following type of products using your smartphone or tablet, your first reflex is to... ? When planning to purchase the following types of products, how many digital sources do you consult on average? What types of products or services have you already purchased using your tablet? What would encourage you to purchase on your mobile phone? During the last twelve months, which products have you purchased from private individuals online? During the last twelve months, which products have you sold to private individuals online? Purchase from private sellers online...? In your opinion, which of the following criteria are important to make a good website for sales and purchases between individuals?